A major fire broke out at a pharmaceutical factory in Ludhiana on Thursday evening. Fire tenders have been rushed to the spot. 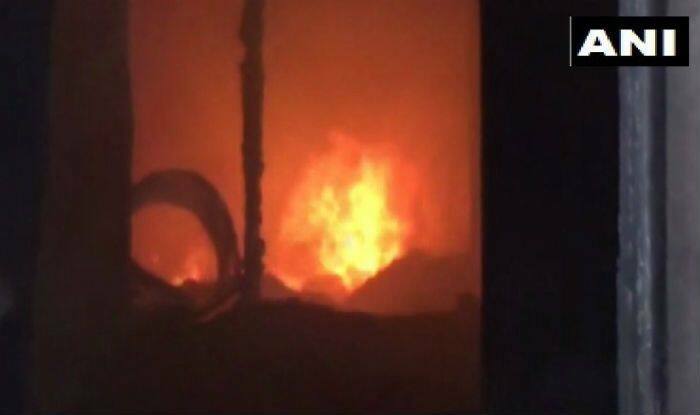 Chandigarh: A major fire broke out at a pharmaceutical factory in Ludhiana on Thursday evening. Fire tenders were rushed to the spot, who brought the situation under control after a four-hour long operation. The factory, where the blaze erupted, is located in Upkar Nagar. If reports are to be believed, the fire department team had a narrow escape while carrying out the operation following a cylinder blast inside the building. The cause of the fire is believed to be a short-circuit. However, the exact reason is yet to be ascertained. On December 17, a blaze erupted at Shakti textile in Hambran village of Ludhiana. No reports of casualties were reported in the incident. In October last year, four persons were killed in a fire that broke out in a hosiery factory at Kalyan Nagar in Ludhiana. The deceased were labourers who were working in the factory at the time of incident, police had informed. Around half a dozen fire fighting vehicles were pressed into service to put out the fire. As per a fire department official, it took them three hours to douse the flames. The factory was located in a thickly-populated area of the city.